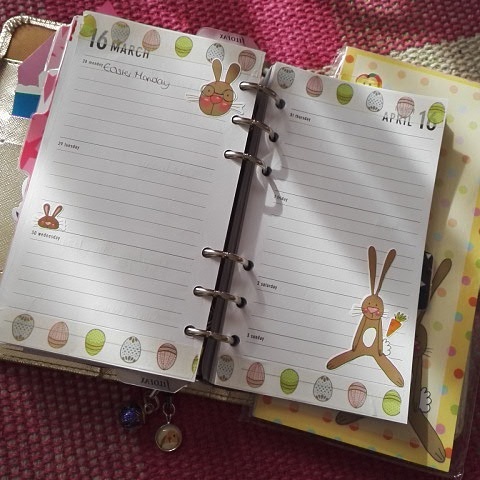 Today I collected the March Planner box from the post office, and when I got home, I had a little play. 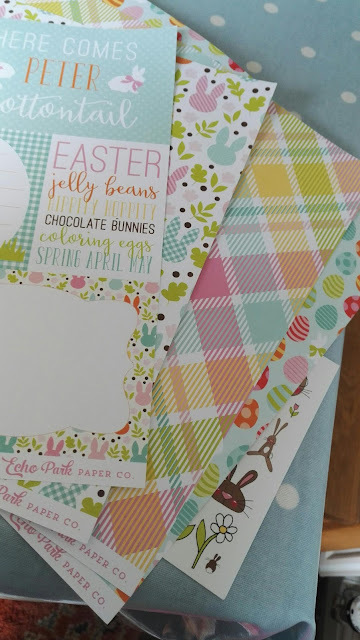 This box is different to last month's in that it included Easter themed 12x12 papers. 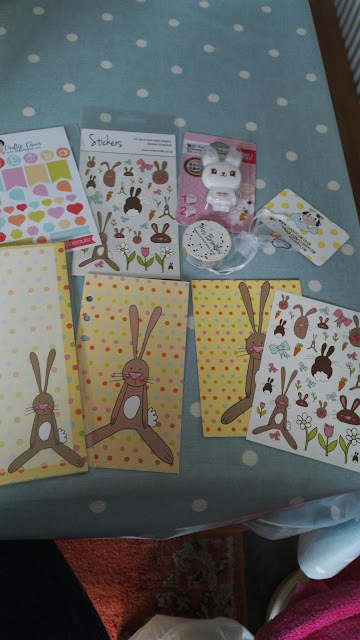 It also had a pad, stickers, charm, a bunny . correction roller, dashboard and some egg washi. The charm was from www.cloudycow.CO.UK and one of the sticker sets was from www.craftinchaos.com . The papers will get used in scrapbooking and some crafting with Ella. I'm not sure how many more boxes I can get due to maternity pay, which is a shame.